98.9 North West FM is a community radio station broadcasting from Hadfield in the North West suburbs of Melbourne, Victoria, Australia. Please note: The players on this website will not play on Internet Explorer. Use Chrome or Firefox instead. The Essendon District Football League has chosen the Premier Division game between Strathmore and Keilor to be the broadcast Match Of The Day for GOOD FRIDAY 19th April between 2 pm and 5 pm. Join Adem Saricaoglu and the rest of the EDFL media team for the coverage of EDFL Match Of The Day on your local community radio station. Directly after Match Of The Day, on the EDFL Post Game Show between 5 pm and 5.30 pm, the call team will have interviews with players and coaches. Every Saturday they will also review all the around the grounds scores in Premier Division, Division 1 and Division 2. Listen to the coverage on 98.9 FM on the radio dial or via our live streaming on the internet. We will also broadcast the Match of the Day on ANZAC Day, Thursday 25th April. North West FM is pleased to promote any event for your non-profit organisation – for free. You can become a sponsor – and promote your own business on North West FM. Contact us. Besides being a listener, there are several ways you can become involved with North West FM. A review of the weekend’s footy matches in the Victorian Amateur Football Association (VAFA) (6 pm – 9 pm). This is the program’s 22nd season. Presented by Glenn “Scatters” Scarborough. The Saturday Sports of All Sorts program is presented by Hannah Gentz 8.30 am – 9.30 am. 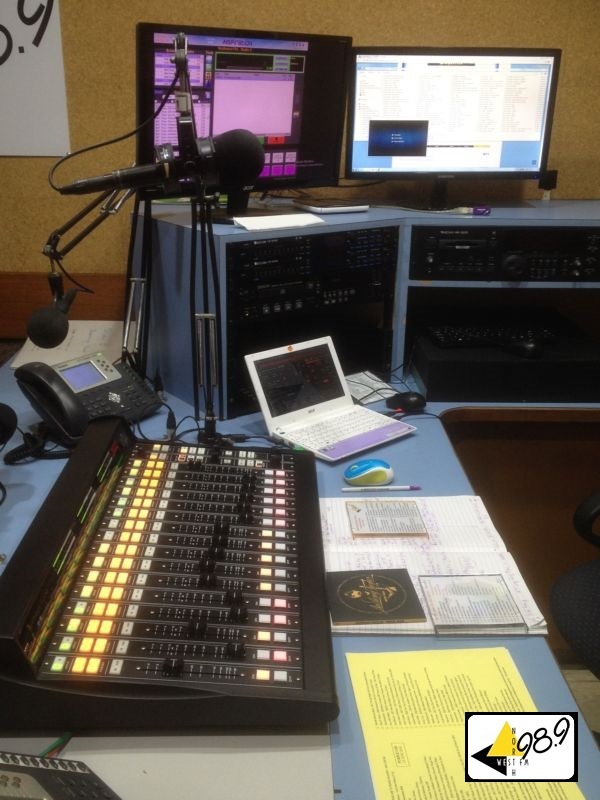 North West FM recently underwent a major refit of our studios. Both studios are now equipped with new mixing desks and other equipment. Our listeners have already noticed a clearer signal on their radios and our streaming. Over 5 million people tune in to 450+ not-for-profit, community owned and operated radio services, like ours, operating across Australia each week. More than 20,000 volunteers across Australia bring community radio to our listeners. Support your local community radio station.